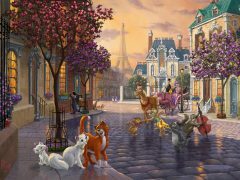 At our Signature galleries in California, we feature Limited Edition Disney art created by Thomas Kinkade Studios. 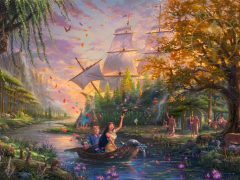 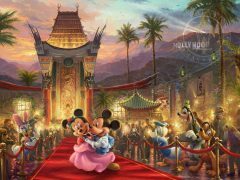 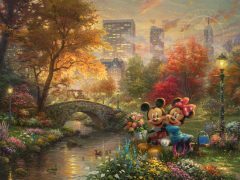 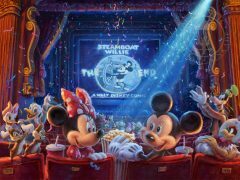 The amazing talent of Thomas Kinkade Studios has captured the timeless beauty of many of the Disney feature films and classic cartoons in these Limited Edition paintings. 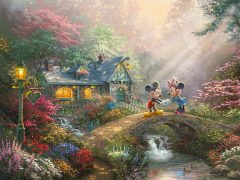 The beauty of this artwork captures the magical world of Disney for collectors of all ages. 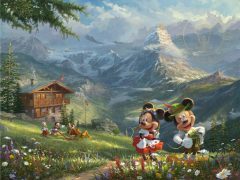 Disney fine art is in a class of it’s own. 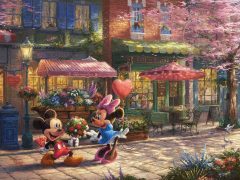 The beauty of the Disney world translates beautifully onto canvas. 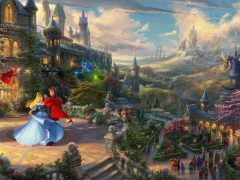 These pieces are an enchanting centerpiece for the room of any Disney admirer. 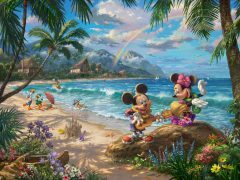 The opportunity to see these Disney art pieces in one of our Monterey Bay area galleries is a treat. 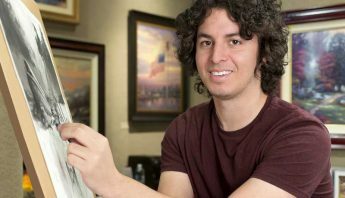 Stop in today to receive the gallery experience with one-on-one service from our experienced team of Art Consultants. 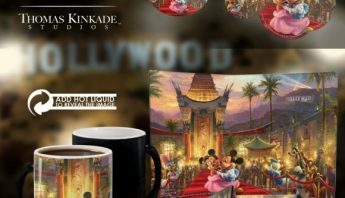 What Makes Disney Limited Editions Special? 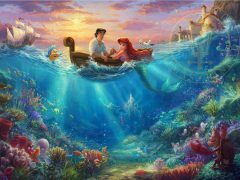 This beautiful Disney art is not like a traditional print that can have multiple runs and may be printed as posters or on paper. 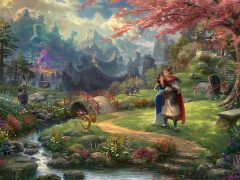 There are a limited amount of these paintings that have been prepared to stand the tests of time by skilled artisans. 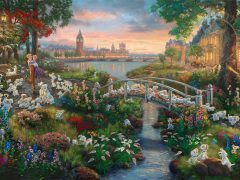 Each Limited Edition canvas painting is hand highlighted, numbered and certified, and comes in a variety of premium frames to choose from. 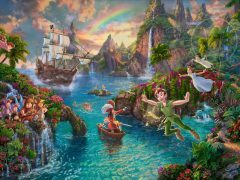 Disney is known for creativity and creating magical worlds for people from all generations to enjoy. 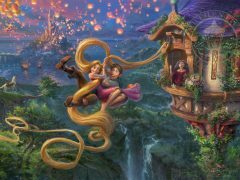 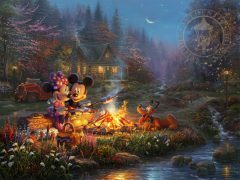 Thomas Kinkade’s Limited Edition Disney art is known for collectible quality and reinterprets these Disney classics in a new way. 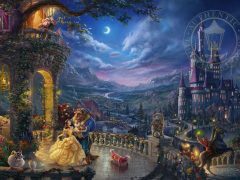 which spreads this imaginative artistic beauty all over the world. 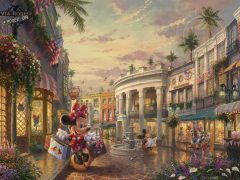 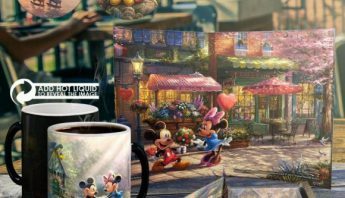 Come in today and find a beautiful take on Disney resorts with Main Street, U.S.A. ® Walt Disney World® Resort and Disneyland’s 60th Anniversary paintings. 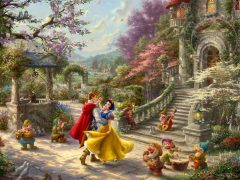 Snow White and the Seven Dwarfs depicts the dwarfs hard at work with cheerful smiles. 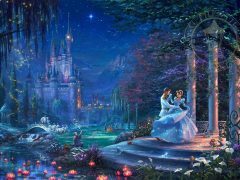 Several beautiful scenes have been captured artistically from Disney’s most recent adaption of Cinderella. 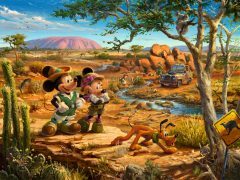 These are essential pieces for any Disney art collection. 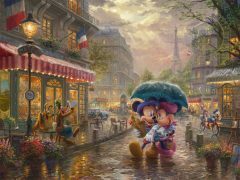 The Limited Edition quality ensures that these paintings will bring you joy for years to come. 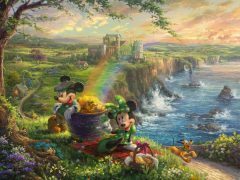 We invite you to come and tour the Limited Edition Disney Dreams Collection at one of our Monterey Bay Signature galleries. 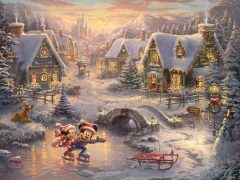 Whether you are looking to add a piece of Disney movie art to your home or to find the perfect gift for a loved one, our knowledgeable Art Consultants will gladly assist you. 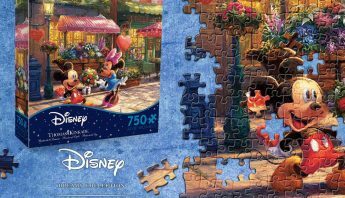 We can help you find the perfect piece and the frame to complement it. 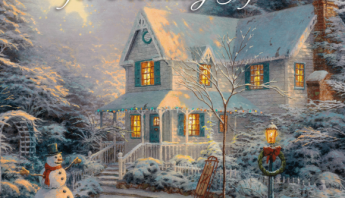 Contact us for an appointment or drop on by today.